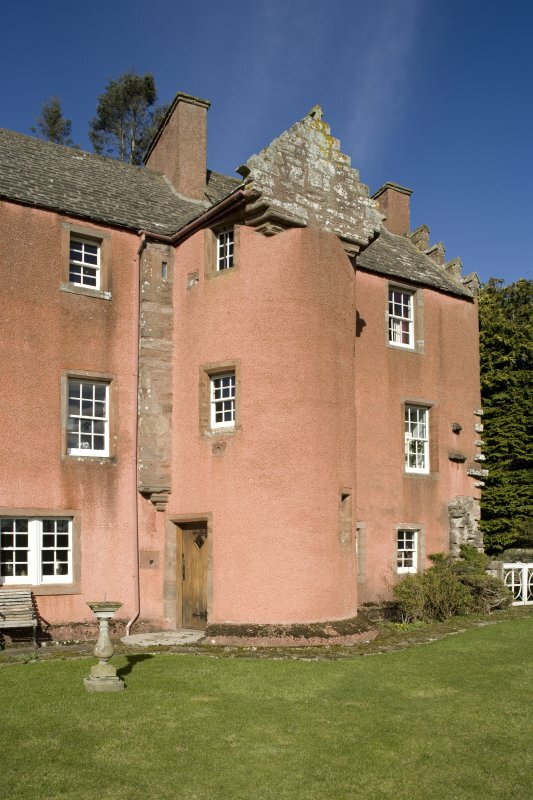 Farnell Castle. View from E.
Farnell Castle. View from S.
Farnell Castle. 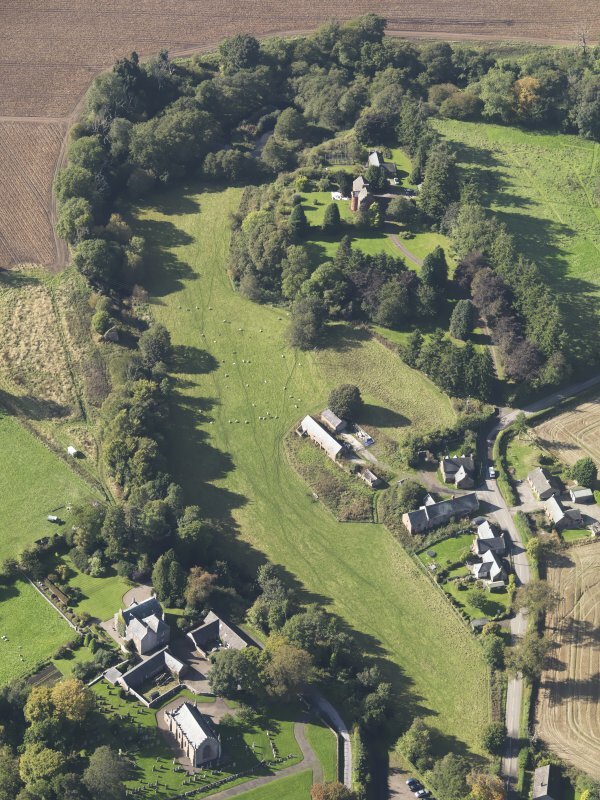 View from W.
General oblique aerial view of Farnell Village, the Farnell Parish Church in the foreground and Farnell Castle in the background, taken from the E.
General oblique aerial view of Farnell Village, centred on Farnell Castle, taken from the SW.
Farnell Castle. 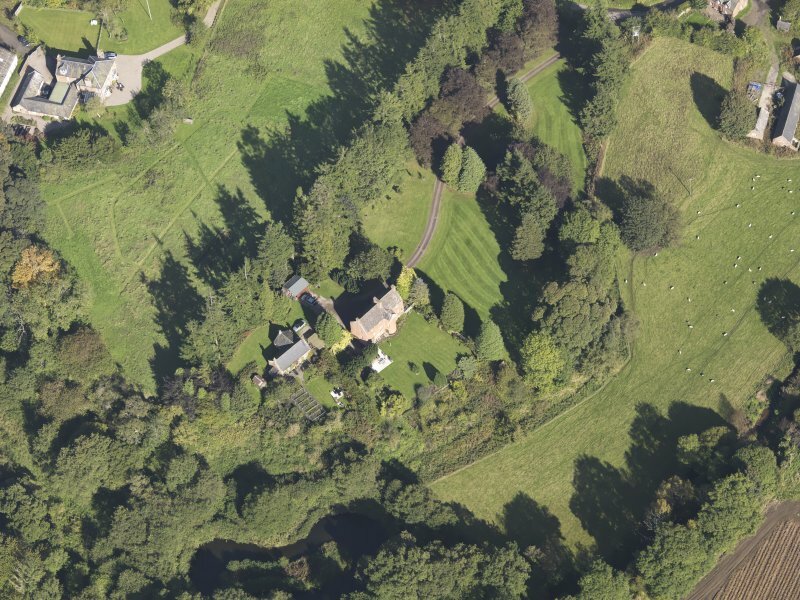 View from N.
Farnell Castle. 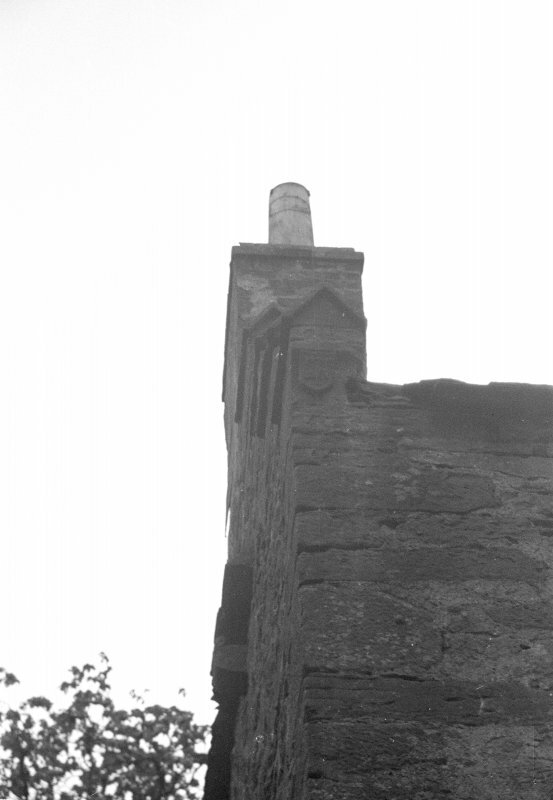 Detail of skewput on E. gable. 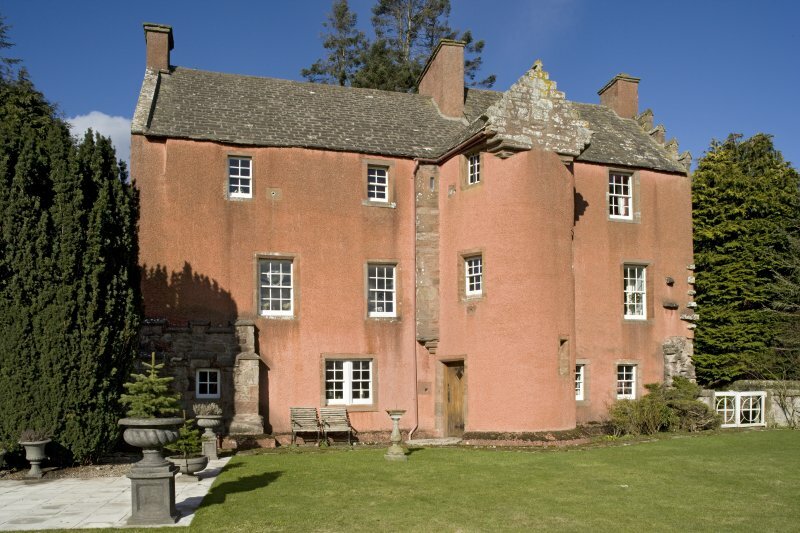 Farnell Castle. Detail of gallery corbelling on E. gable. 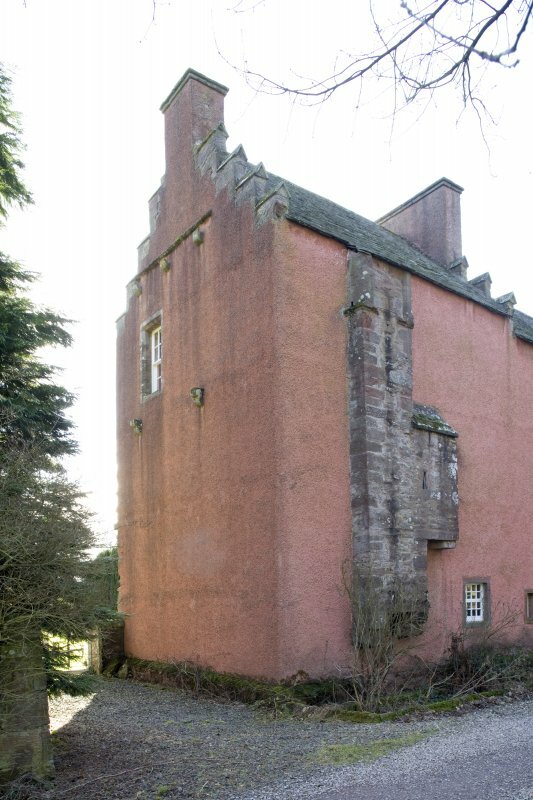 Farnell Castle. 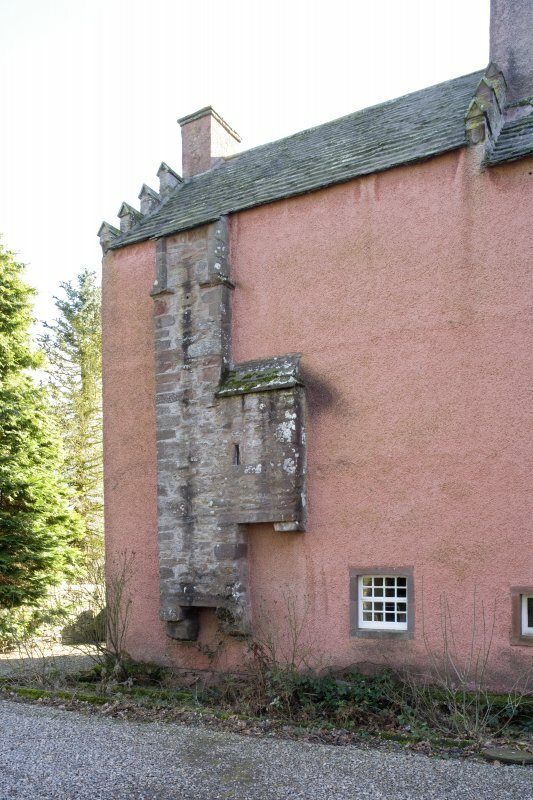 Detail of crowsteps on E. gable. For associated dovecot (NO 62524 55387), see NO65NW 65. 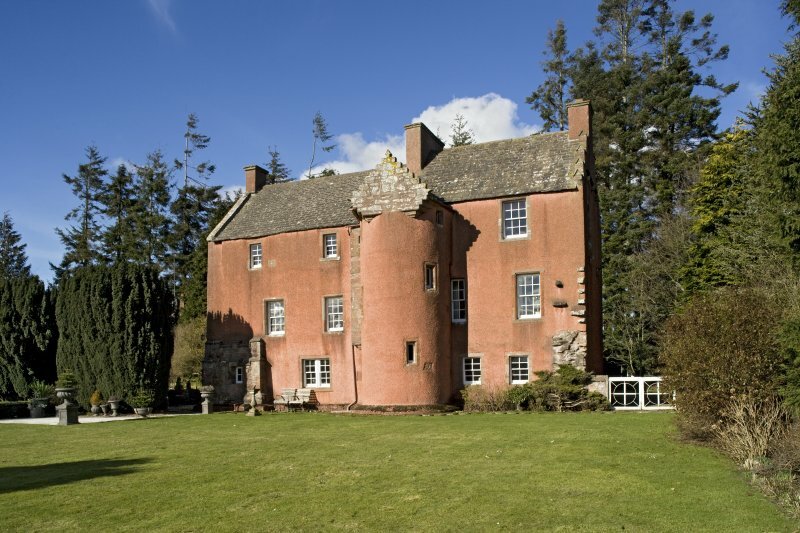 In existence in 1296 Farnell Castle was a residence of the Bishops of Brechin until it was secularised in 1566. 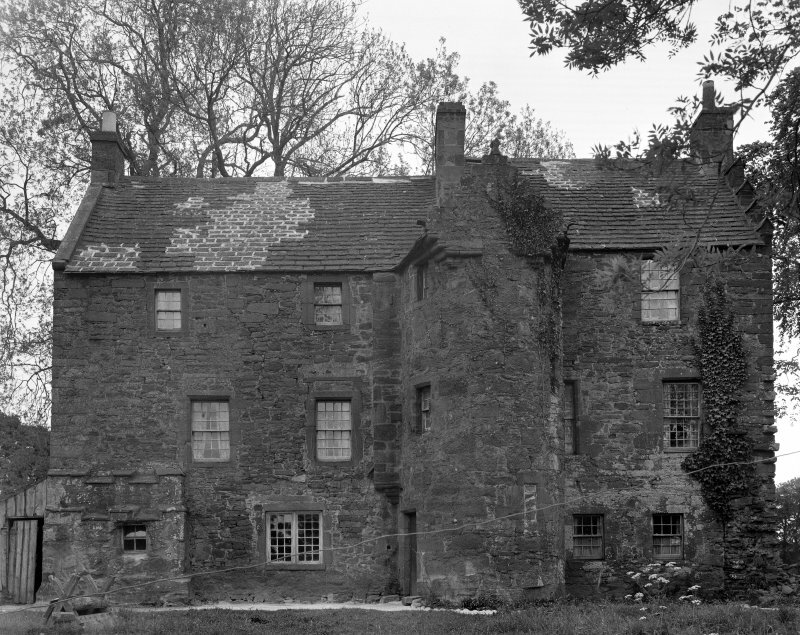 Thereafter it passed through various hands until it came into the possession of the Carnegies, in 1623, with whom it remains. 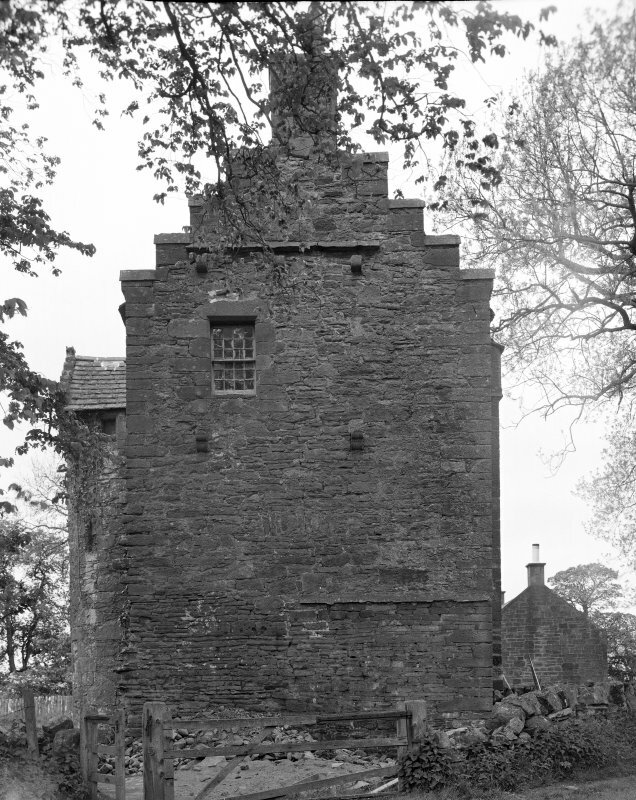 In 1570 the castle was very dilapidated and was probably rebuilt soon afterwards incorporating the remains. 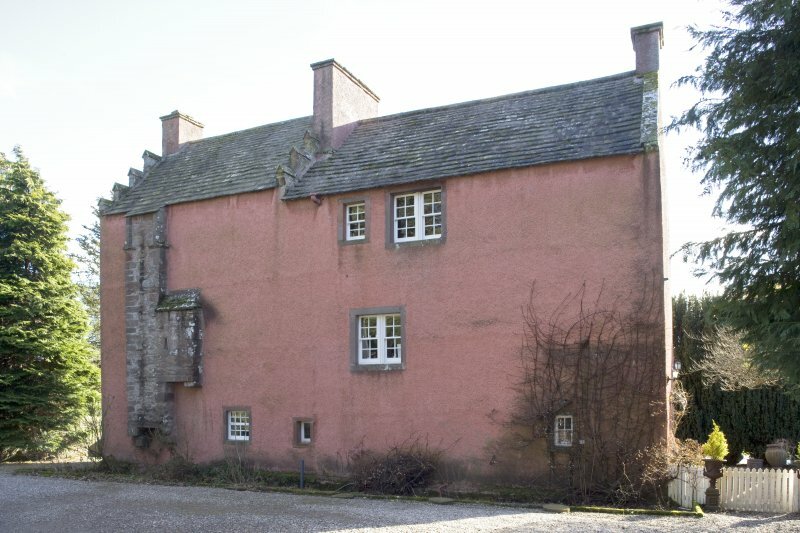 It is now a modern-looking 3 storey building with a circular stairtower, probably a result of a rebuilding, in front. Evidence of its episcopal origin exists in the sculptured shields on the north skewputts. A J Warden 1880-5; D MacGibbon and T Ross 1887-92. 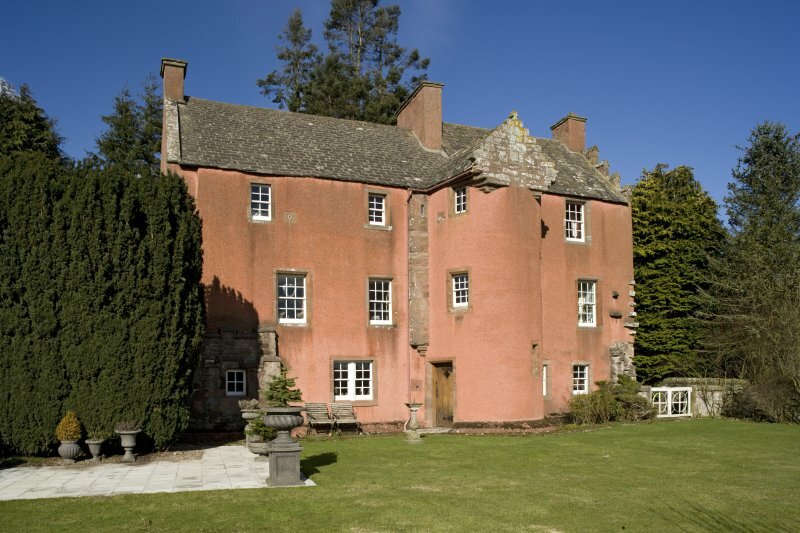 Farnell Castle is as described, a domestic structure in a fair state of preservation. It is occupied. 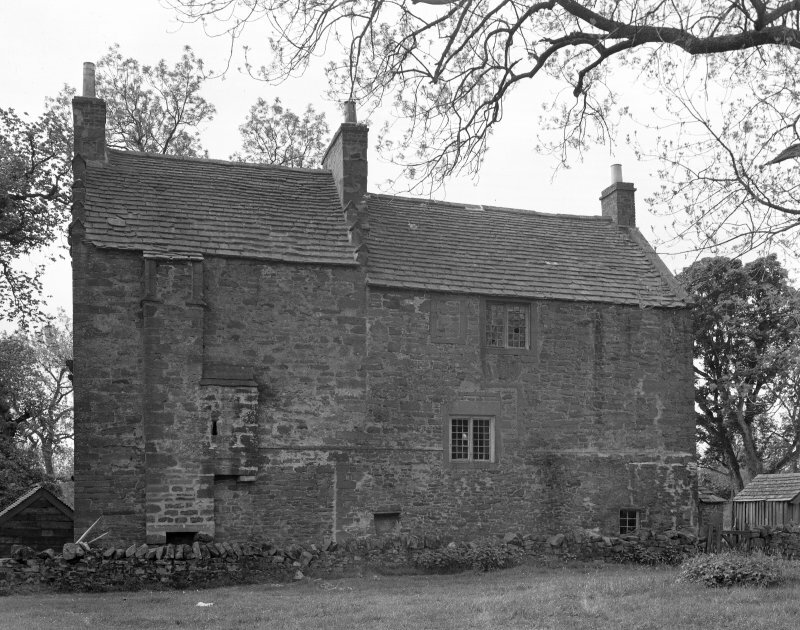 Visited by OS (J L D) 23 June 1958. 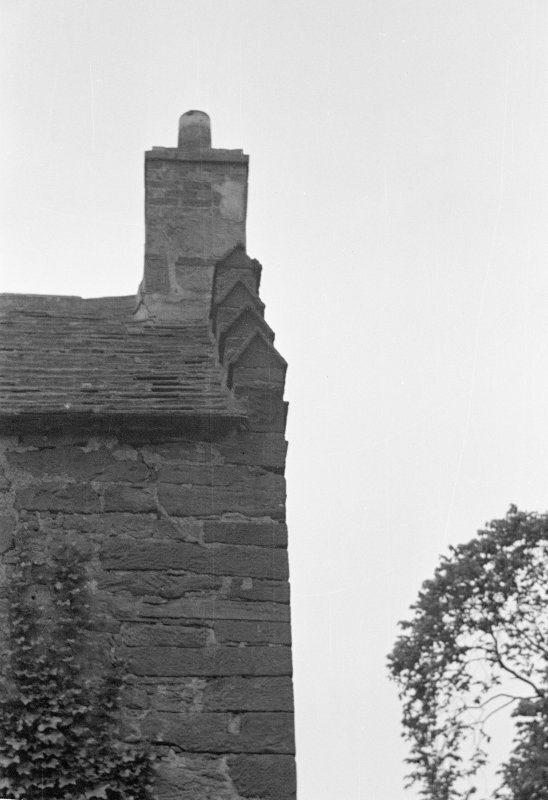 Photographic survey of the exterior of Farrell Castle, Angus, by the Ministry of Works in August 1960. 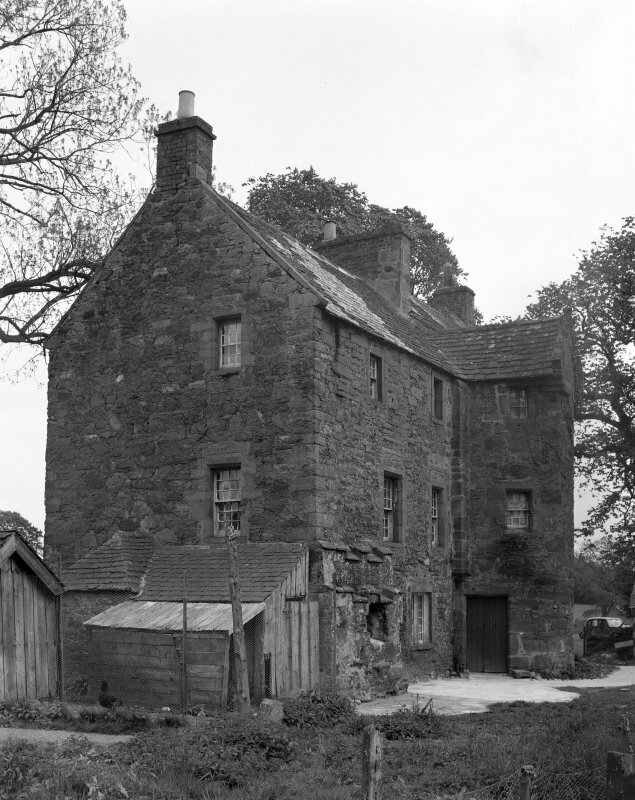 Photographed by RCAHMS as part of the Listed Buildings Area Survey. 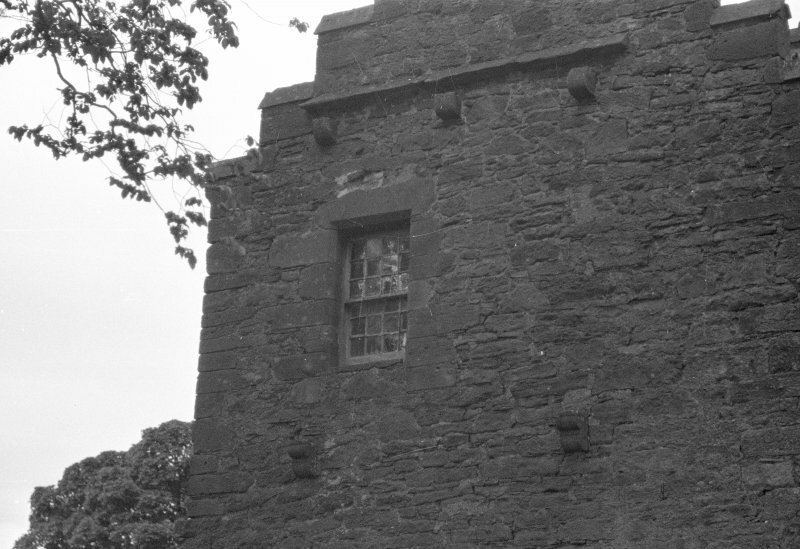 Photographic survey of the exterior of Farrell Castle, Angus, by the Ministry of Works in August 1964.